New Day Christian Church does not pass the offering plate during Sunday Service. We believe you should give as the Lord leads you. Should you wish to give to our ministry, please feel free to use the PayPal link below. Buying something through Amazon.com? 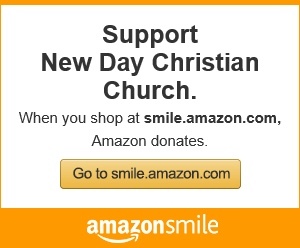 Use this link and Amazon will donate to New Day! CLICK HERE!